Mumbai, July, 2013: This monsoon, enjoy a hot cuppa without having to worry about your skin. 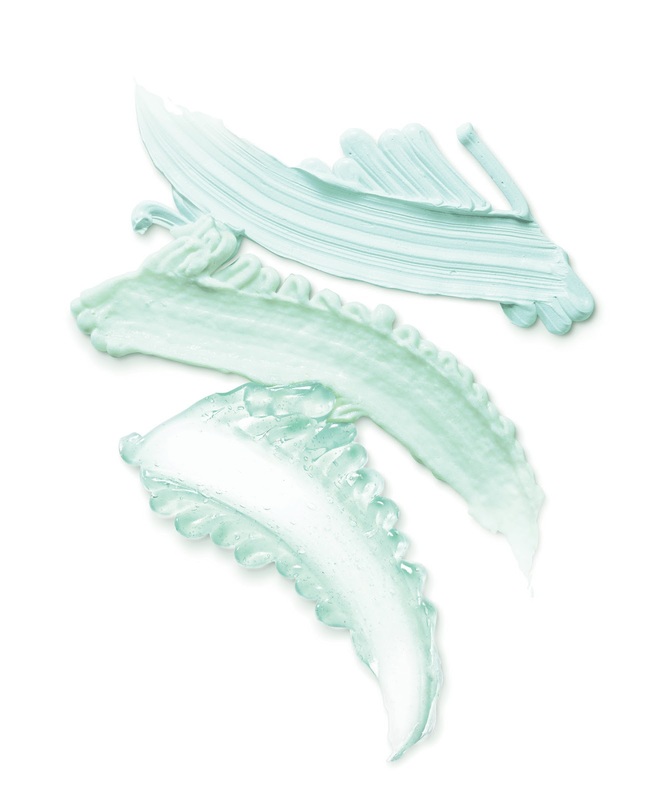 No matter how much we love the monsoons, the humidity in the air often creates havoc for our skin. The moisture laden air makes our skin prone to breakouts, blemishes, clogged pores and a constant oiliness that refuses to go. 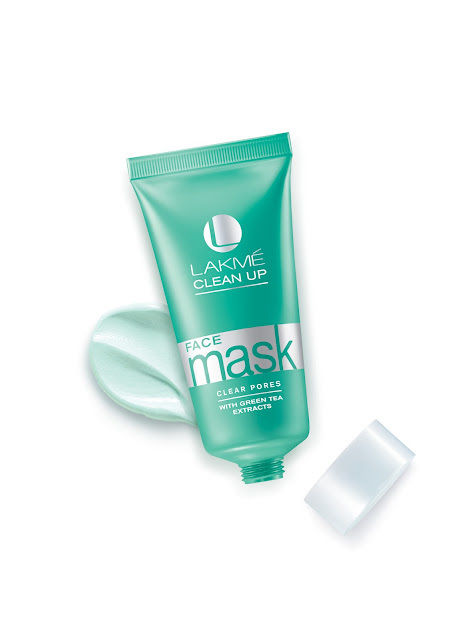 Enriched with green tea extracts, the new Lakmé Clear Pores CLEAN UP range is a salon-like cleanup giving you clear, matte skin. known to clear and soothe skin. tea extracts that soothe and calm your skin and salicylic acid that helps prevent break-outs fight blemishes and reduce irritation. Wash your face with Lakmé Clean-Up Clear Pores Face Wash and prep your skin for a deep cleansing experience. 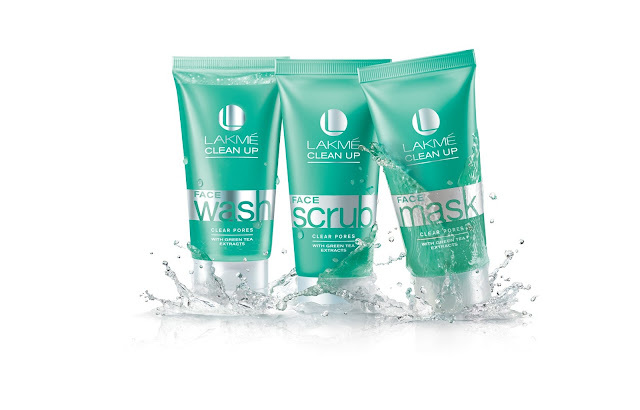 This face wash cleanses all visible dirt and impurities, helps control excess oil build up and makes your skin feel tingling fresh and matte smooth. Designed specially for skin prone to breakouts, Lakmé Clean-Up Clear Pores Scrub is dermatologist tested and is noncomedogenic and hypoallergenic. 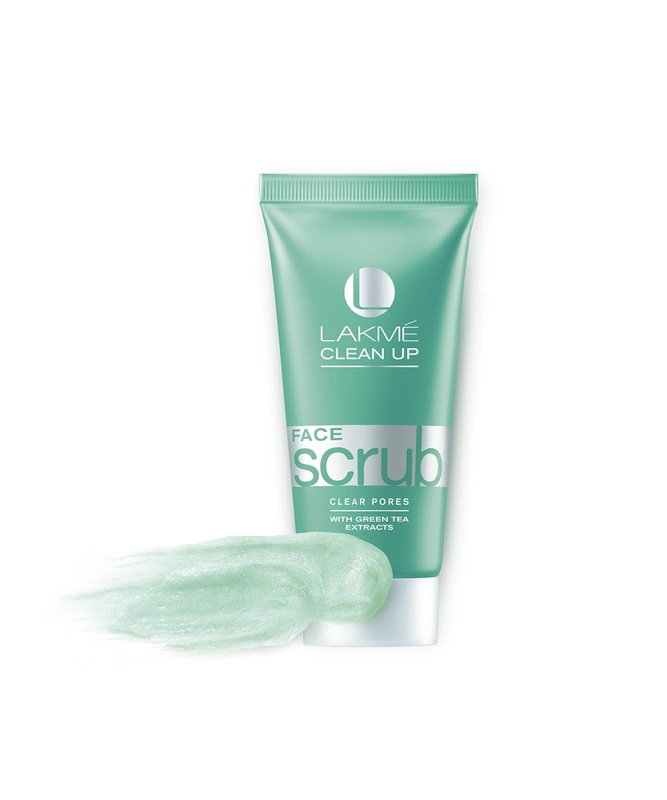 This scrub helps get rid of dead cells, unclog pores, remove blackheads and gives you clear matte skin. these product would be useful for me! PS. New post on my blog, what do u think of my new Ax Paris dress? 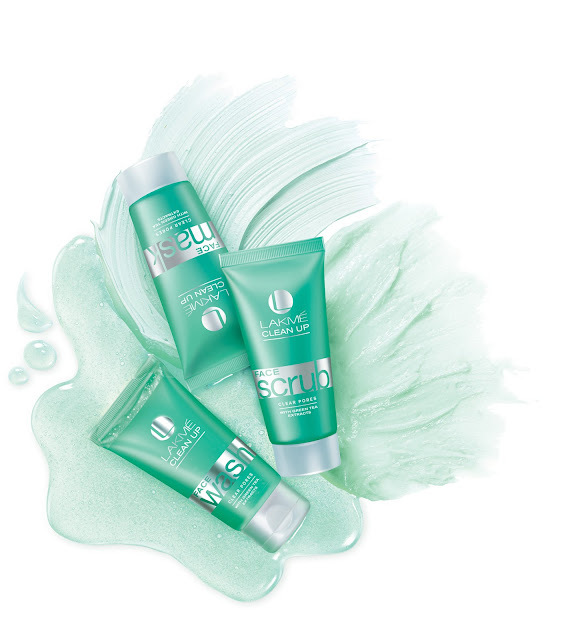 Looks like a complete kit to rejuvenate skin! Hey Radha give me advice for removing blackheads ! I need a face scrub... I would like to try this product!! !